NORTH LAS VEGAS, Nev. — Piecing together torn-up jailhouse letters found in dormant files involving the 1986 disappearance of a 3-year-old boy in Nevada yielded a possible confession that led to the arrest of his mother in Florida on a murder warrant, authorities said Monday. 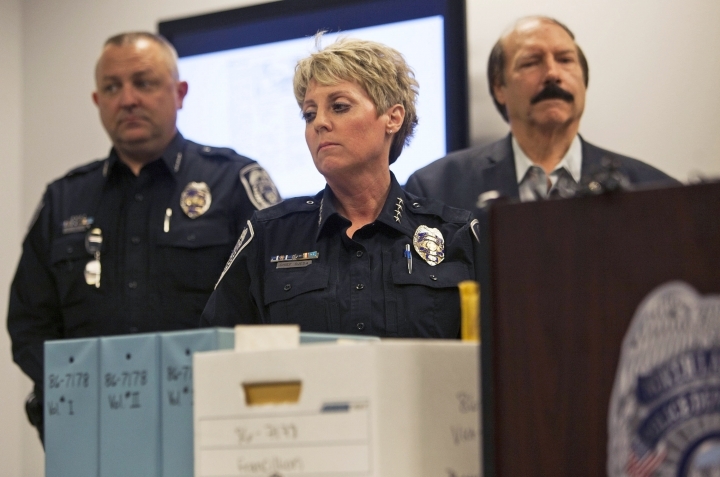 North Las Vegas Police Chief Pamela Ojeda said the key to the arrest of Amy Elizabeth Fleming emerged after the case was reopened in 2017 by detectives trying to trace the origin of a fraudulent birth certificate application in the name of the missing boy, Francillon Pierre. "What happened was totally unintentional, I'm sorry, you know that," Fleming wrote to her then-fiance, Lee Luster, while the two were jailed for several months in 1987 for obstructing the investigation, according to a police affidavit submitted to obtain a Dec. 13 warrant for Fleming's arrest. 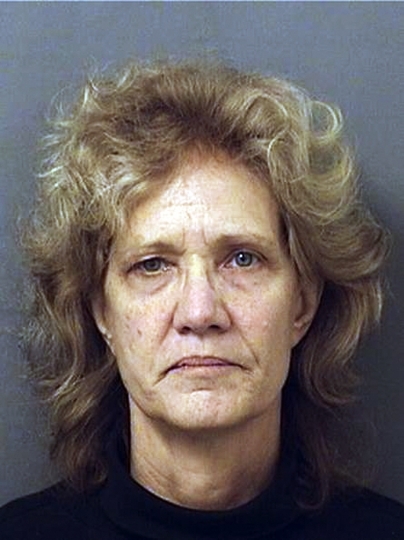 Fleming, 60, was arrested Jan. 29 at her marketing job in Boca Raton, Florida. Police said she was being transferred in custody to Nevada to face a murder charge. The child's body hasn't been found, but Ojeda and the lead detective in the case, Steven Wiese, said new witness accounts also implicate Fleming in his death. "We'd love to have the body of Francillon," Wiese said, "or DNA evidence that proves something. That's not what this case is. This is a case of a lot of little things that, put together, give us the knowledge that Amy Fleming was involved in the homicide of her child." Two witnesses whose names were blacked out in the affidavit told police they overheard Luster tell a woman in a jailhouse meeting area that "'Amy had killed the baby.'" In another letter, Fleming told Luster, "You're the only one I have left to care about. My family is not there, Yo is not there, I cannot face my friends for fear they will be implicated." The couple told police the boy, nicknamed Yo-Yo, wandered away from them at a swap meet. But investigators found no one who saw the child at the swap meet, according to the 18-page affidavit. Neighbors in the apartment complex where the couple lived said they had not seen the boy with Fleming and Lester for more than a week. Fleming, was 28 at the time and divorced from Pierre's father, who lived in Haiti and was cleared as a suspect in 1986. She was living with and later married Luster, and the couple moved to Florida in 1987, police said. Fleming and Luster had been accused months before the boy's disappearance of physically abusing him. They pleaded guilty in that case after his death and were sentenced to probation. Ojeda said investigators didn't have enough evidence at the time to seek a murder charge. Luster, now 62, has not been charged with a crime. 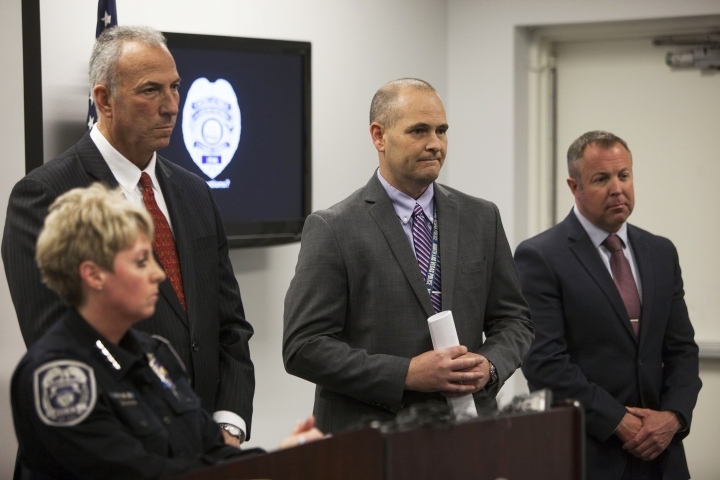 Luster told investigators that several days before reporting the boy's disappearance, he took him camping for a couple of days at an unspecified desert location near the vast Lake Mead reservoir east of Las Vegas on the Colorado River. "Although we're saddened today that we could not bring you good news that we found Pierre alive and well, we are fortunate that we can bring some closure to those affected by this 32-year-old cold case," the police chief said. The Daily Feeder, keep your life updated with the world’s most important political, business, and cultural news 24/7 like no any other news network can. Copyright © 2015 - 2019 The Daily Feeder. All Rights Reserved.